New for 2017/18 – Free Talkback Session by matching up with a nearby school on the same day! See Pricing Section below for more details. 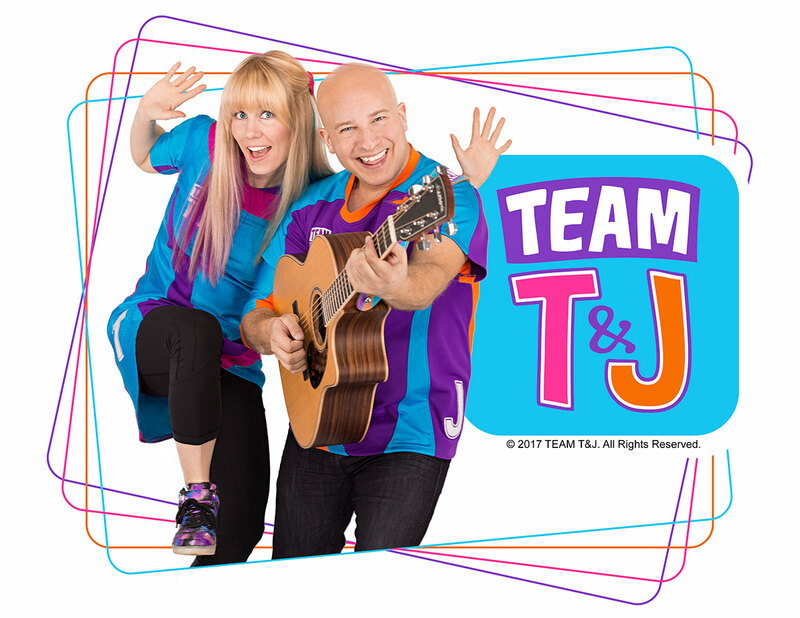 Team T&J create an open and safe environment where students are encouraged to explore and express their imaginations through the excitement and freedom of live music interaction. Their performance is not about props and a big set – it’s about being present and available to ourselves and to one another. They understand that we each have something unique to offer, that we are all connected to the environment and to each other, and that we can work together to make the world a better place. 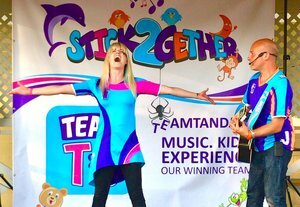 Before forming Team T&J, Tonya and Jory both performed with many high-profile children’s entertainment companies including YTV and Kidomo Inc.
Great student involvement including on-stage volunteers and lots of active crowd participation. Strong message for students focusing on teamwork, diversity, and healthy emotions. 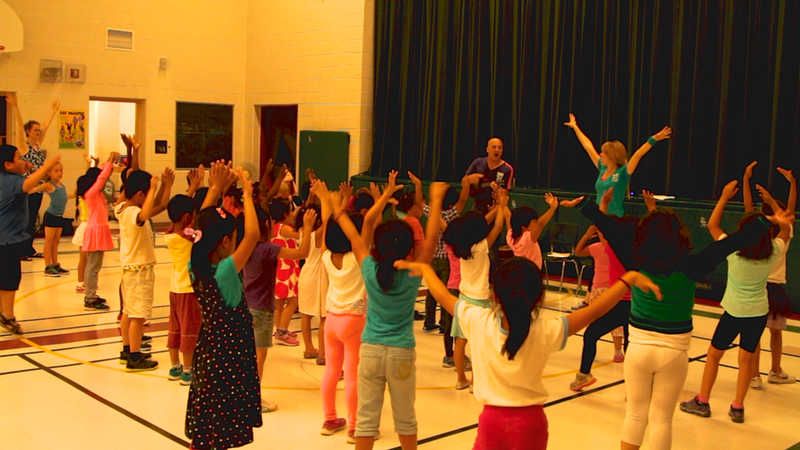 Fun, original songs that will get students moving, singing, and caring about one another. 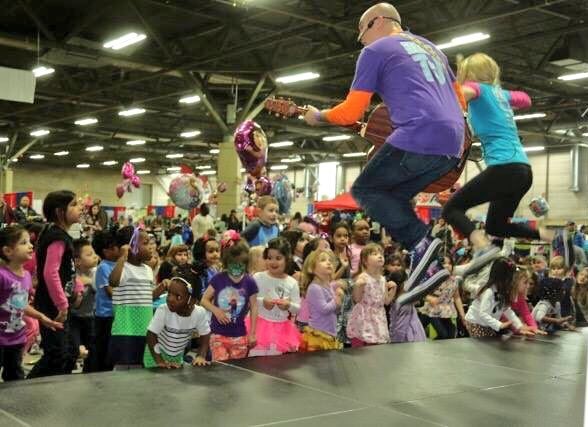 This High Energy, Interactive Character Building Performance is all about Teamwork and being true to who you are. Their fun, original songs focus on diversity and inclusion, and how we are not one without the other. It is an interactive journey of self-exploration, creativity, and participation that encourages students to see and feel what it means to come together and STICK2GETHER! Throughout, children will understand it takes courage to express feelings, ask for help, and know when to offer it. Students will leave the show feeling inspired, motivated, focused, and more united and energized than they’ve felt in a long time. If you have not already done so, click below to rank the top three artists you’d like to see tour to your area. There‘s no obligation to book, doing so will simply register your school for the discount and help us co-ordinate artists’ tours where there is the most interest for them. Fees are listed as a range because the exact fee is determined by your area and number of shows in a tour. Once you’ve cast your vote, we can let you know the exact fee and possible dates for your preferred artists. If your school is facing severe budget challenges please inquire about qualifying for our assistance program. This was the most engaging and interactive performance I have ever seen. 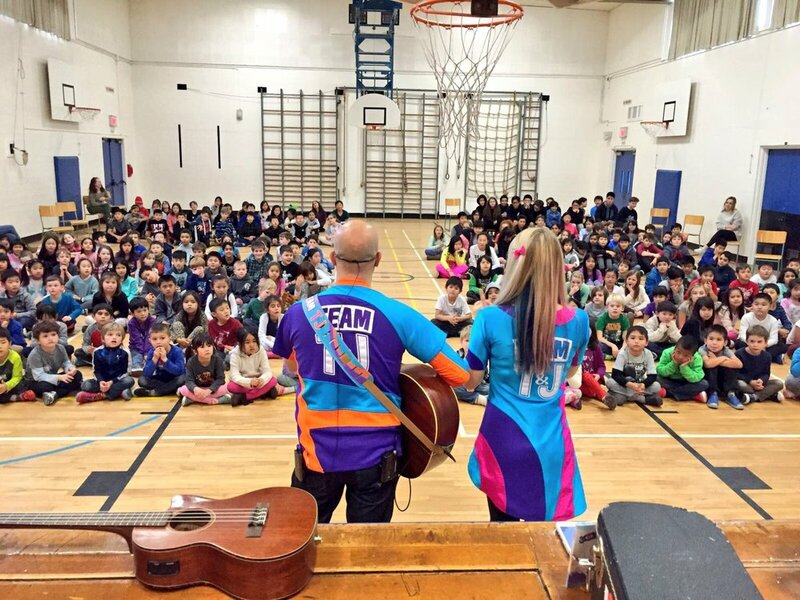 Team T & J had all of the kids on their feet singing, dancing, and building confidence. Their enthusiasm made it easy for them to keep the attention and control of all 250 K-7 students. As a teacher, I was thrilled that they included our school-wide themes into their routine. Keep up the fantastic work you do T & J, we can’t wait to have you back again! TEAM T&J were uplifting, inspiring and their energy was infectious. Can’t wait to have them back at our school! TEAM T&J had the students singing and dancing and participating. From the look on my students’ faces, I could tell they were having a blast. I would highly recommend T&J for school visits. We were all really impressed and had a wonderful afternoon filled with music, movement, and laughter. I was personally impressed to see a live show, so personal and memorable. You have touched so many kids’ lives, not to mention parents like myself.